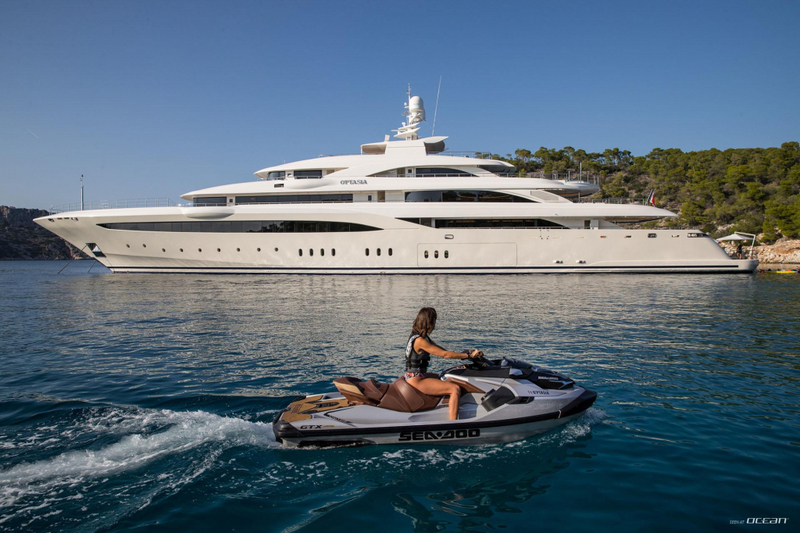 We are glad to announce O'PTASIA yacht joining our luxury motor yacht charter fleet in Greece. 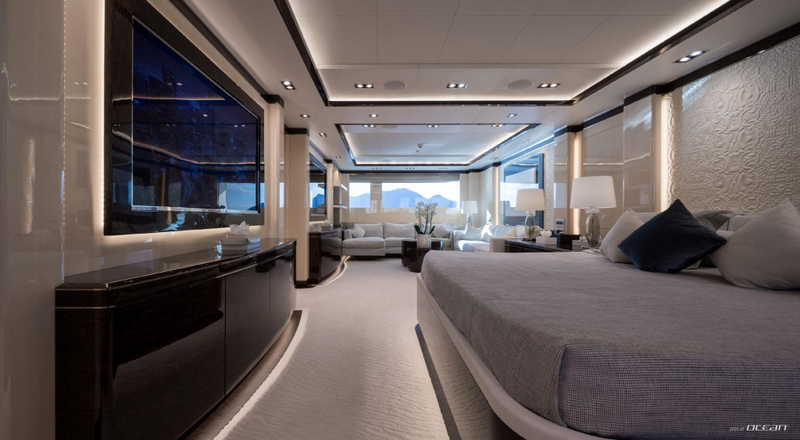 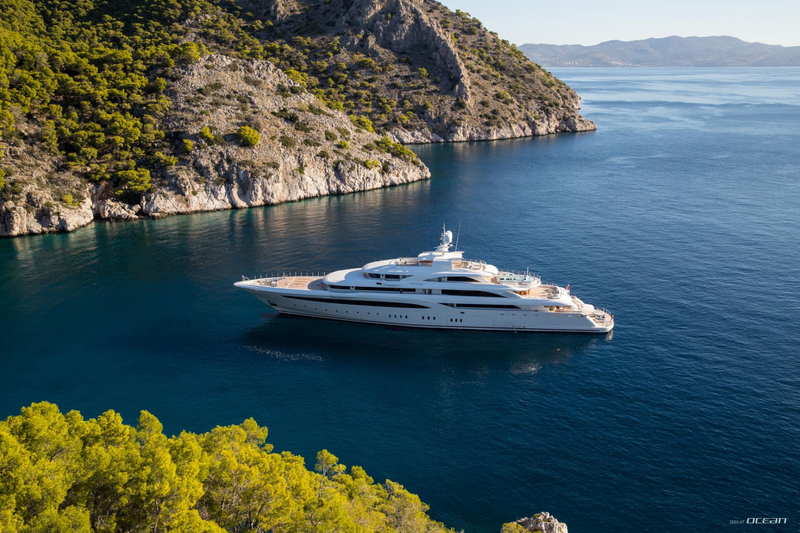 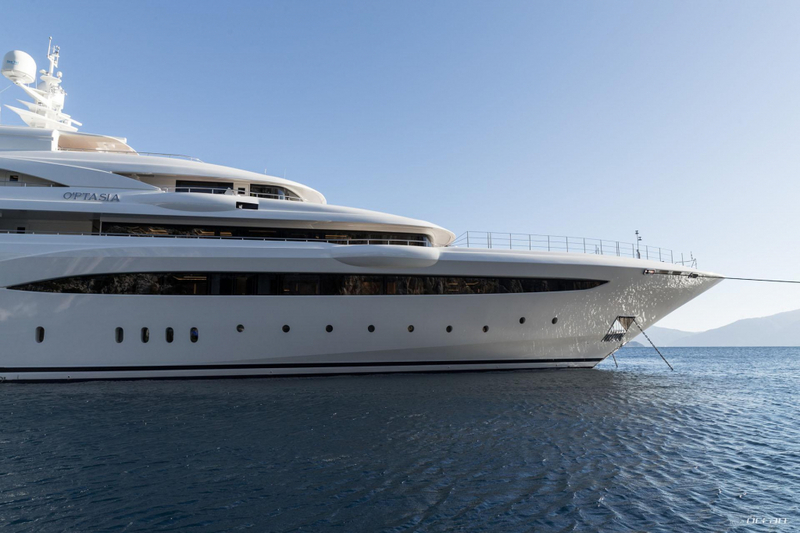 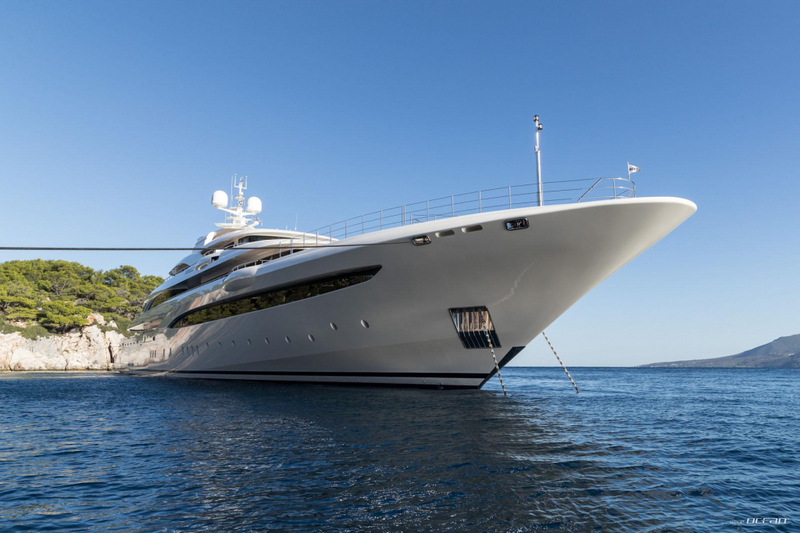 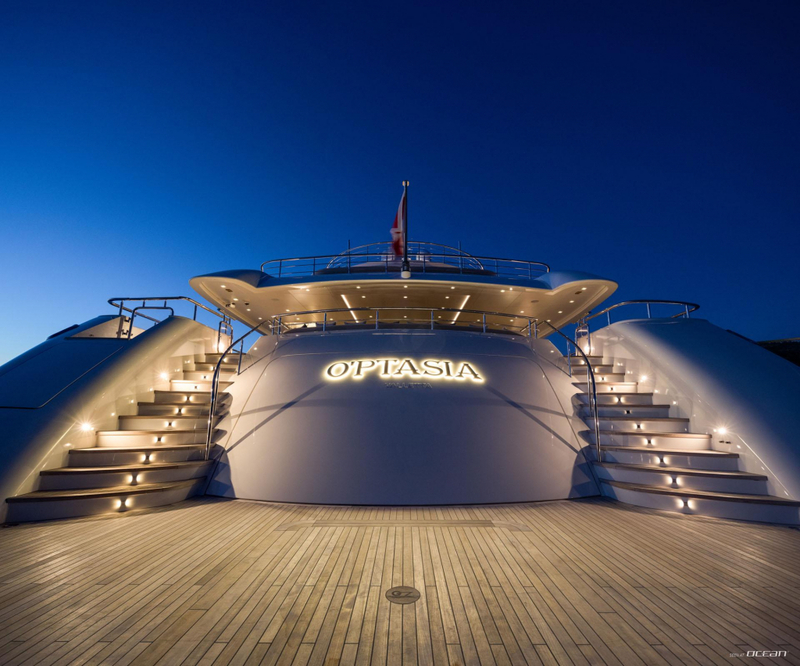 O'PTASIA is a thrilling 85m superyacht boasting enormous exterior and interior living spaces for up to 24 guests. 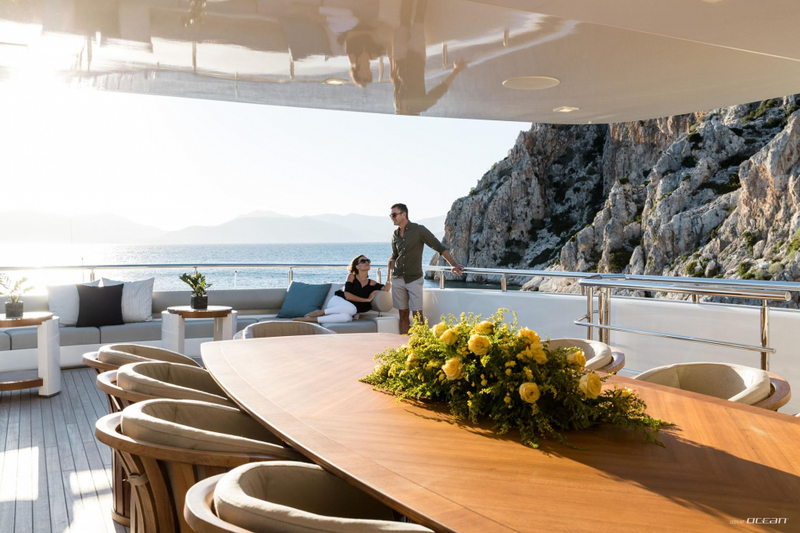 Eleven luxurious and spacious guest cabins are on offer with a breath-taking owner's suite measuring 95 square meters and featuring 180-degree stunning views. 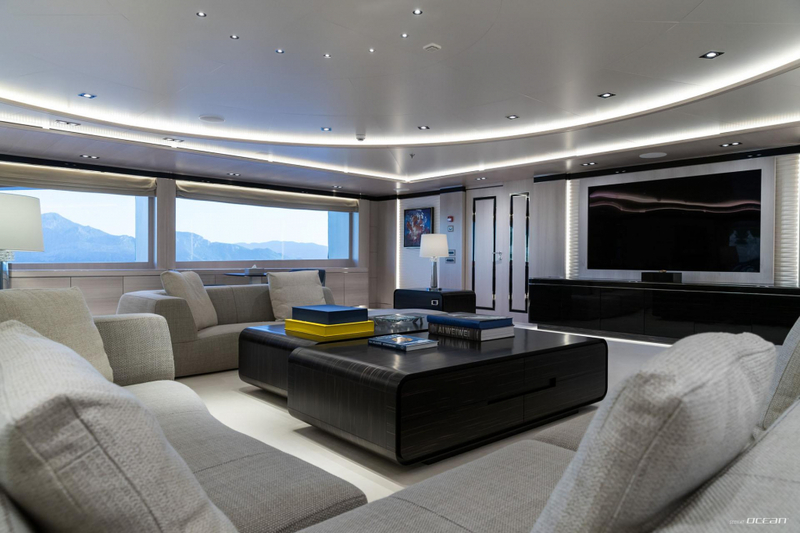 Even the VIP suite puts comfort to the fore with 85 square meters of pure luxury and scores with an adjacent private cinema. 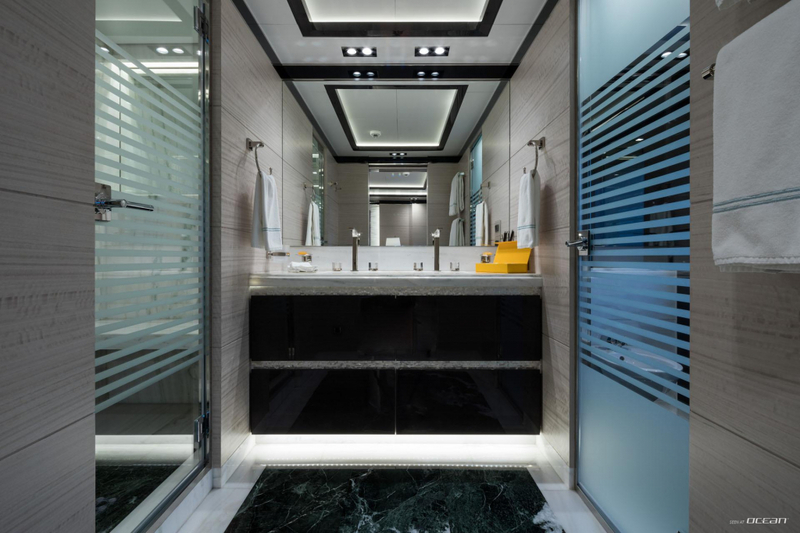 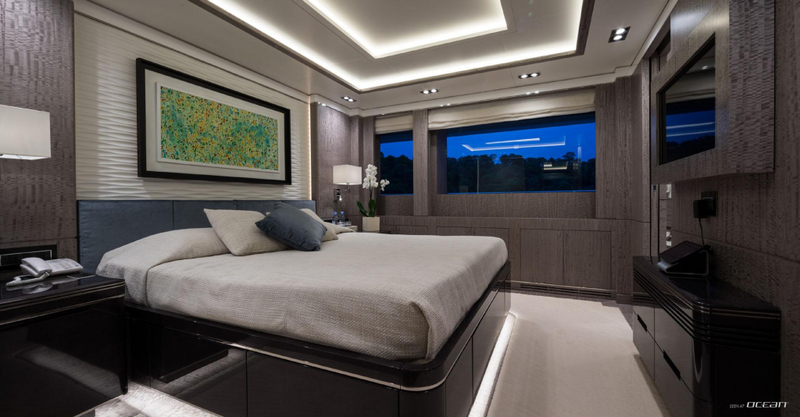 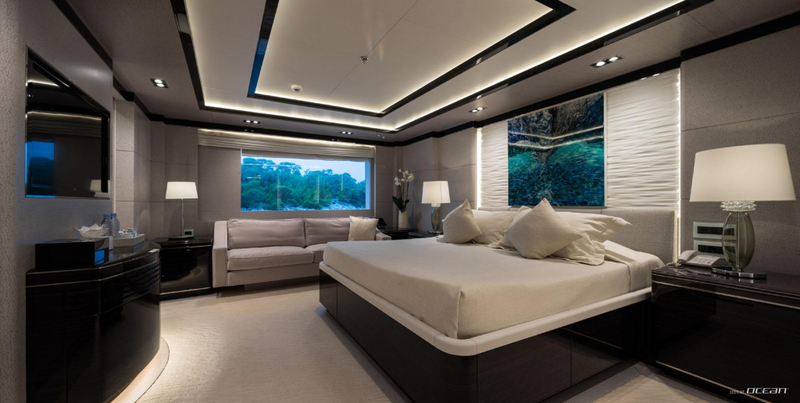 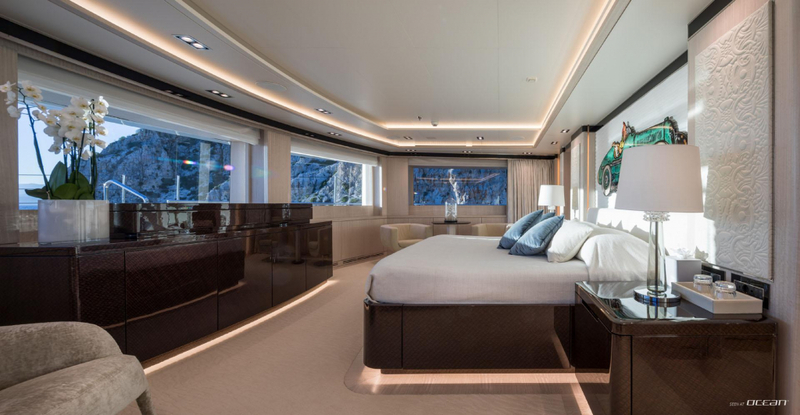 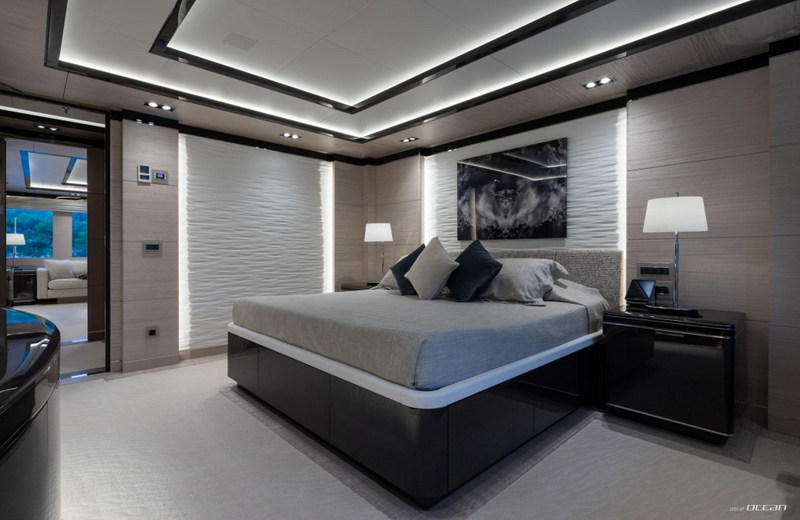 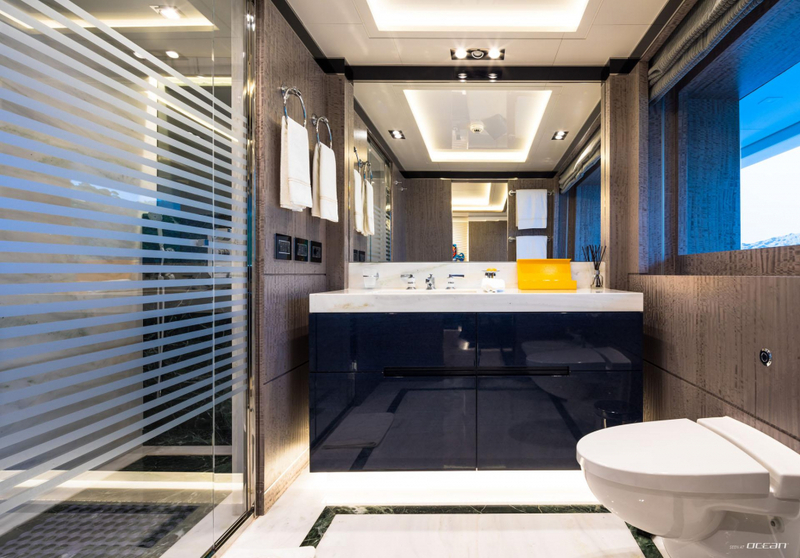 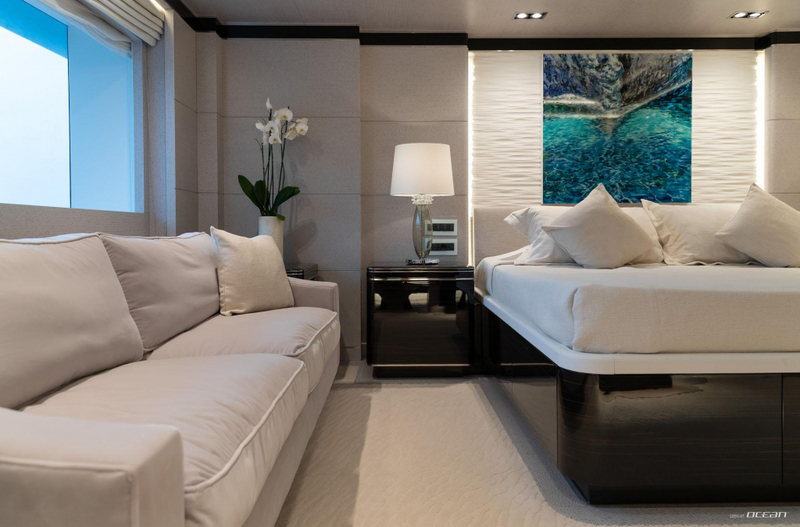 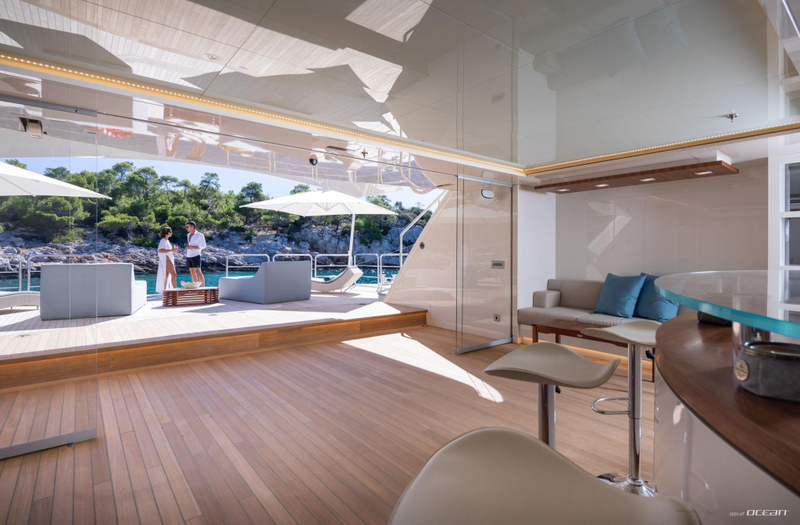 O'PTASIA megayacht for charter in Greece is emphasized by a neutral color palette and high-quality finishes run throughout the interior, creating light, bright and cozy living areas. 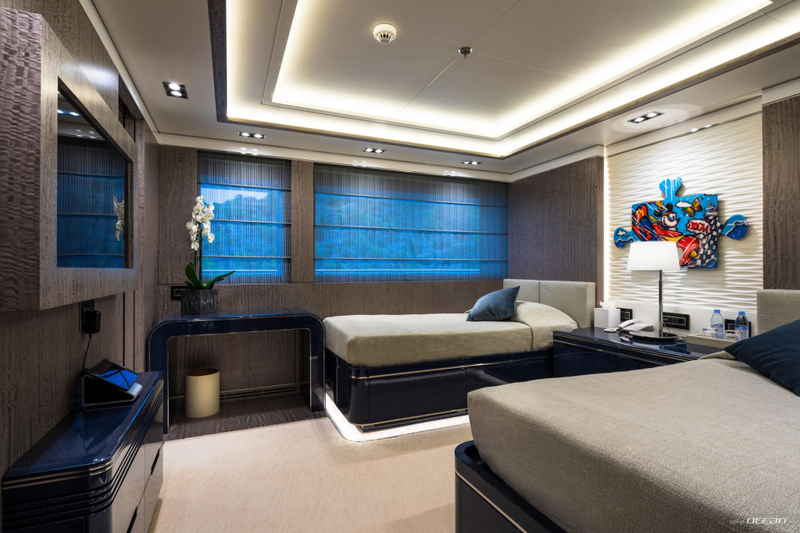 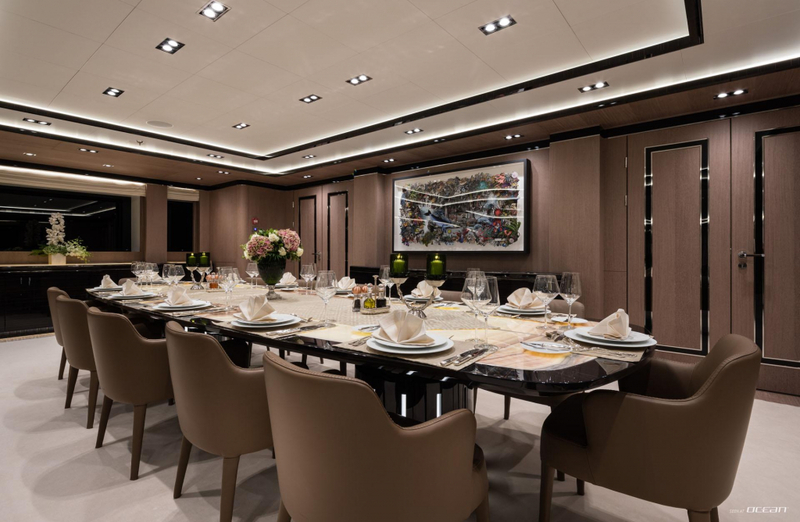 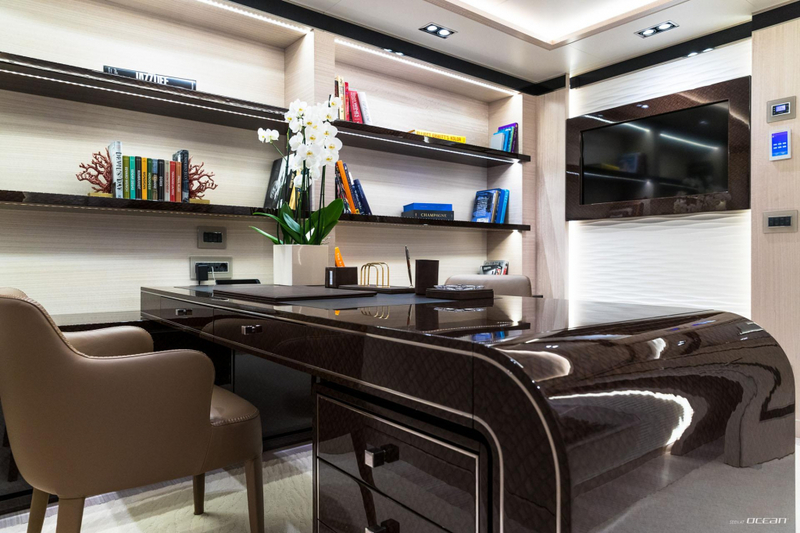 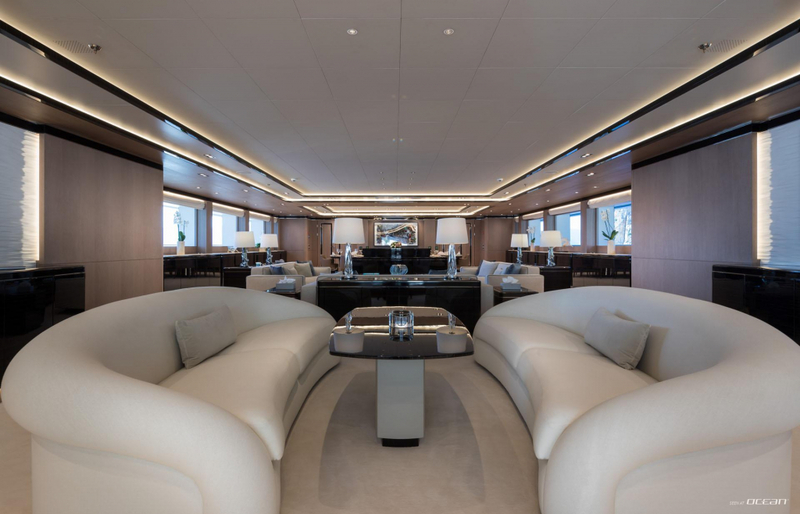 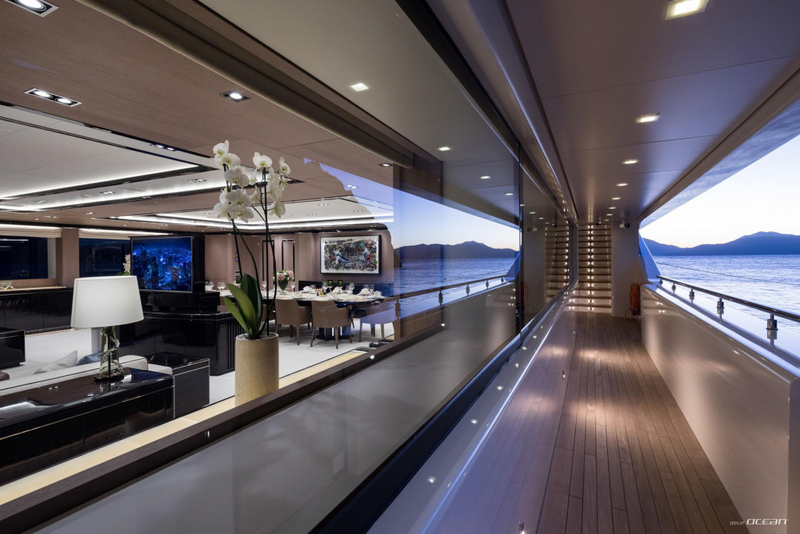 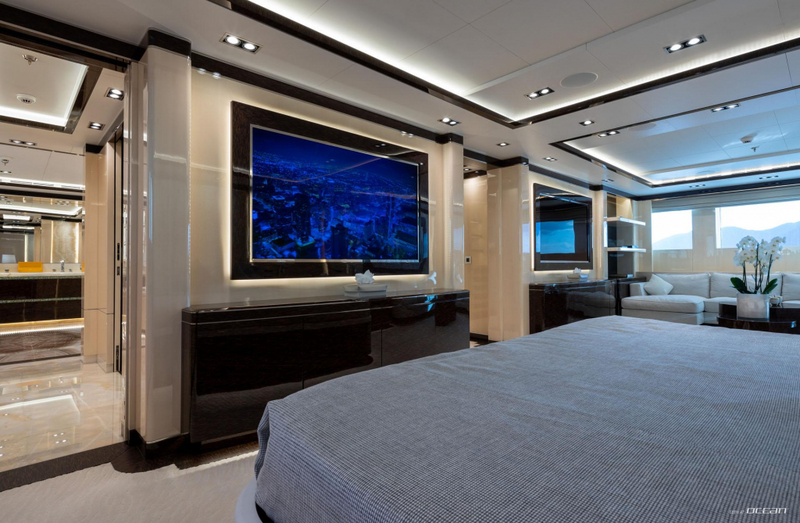 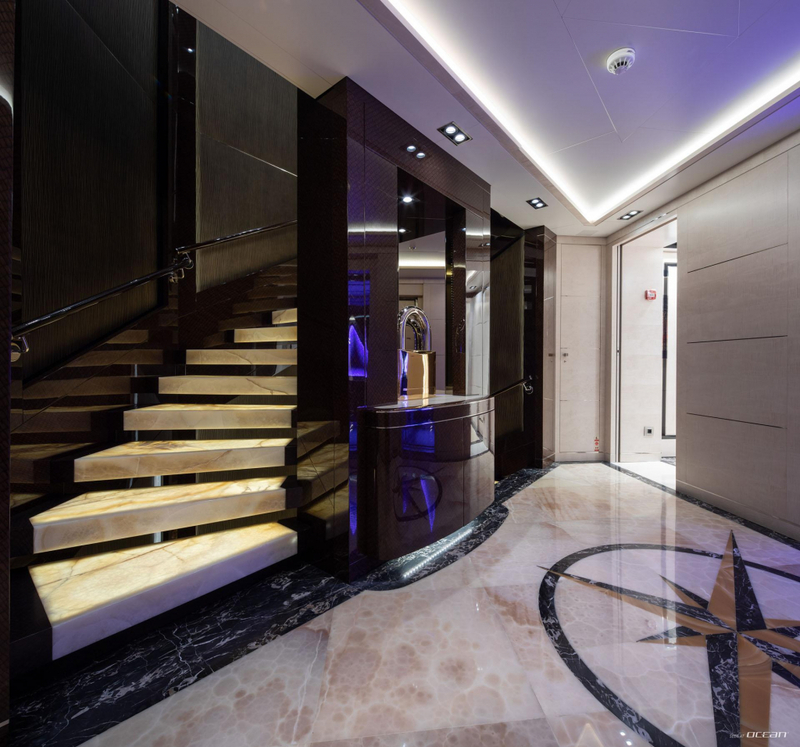 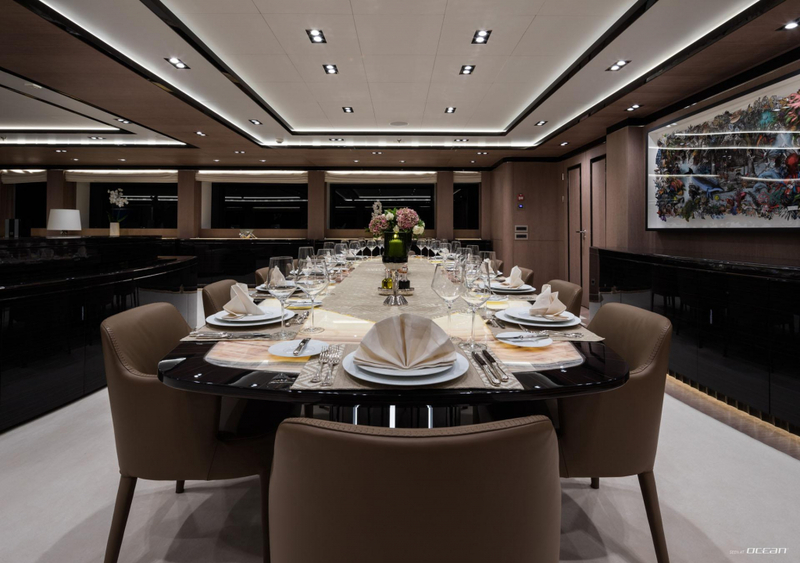 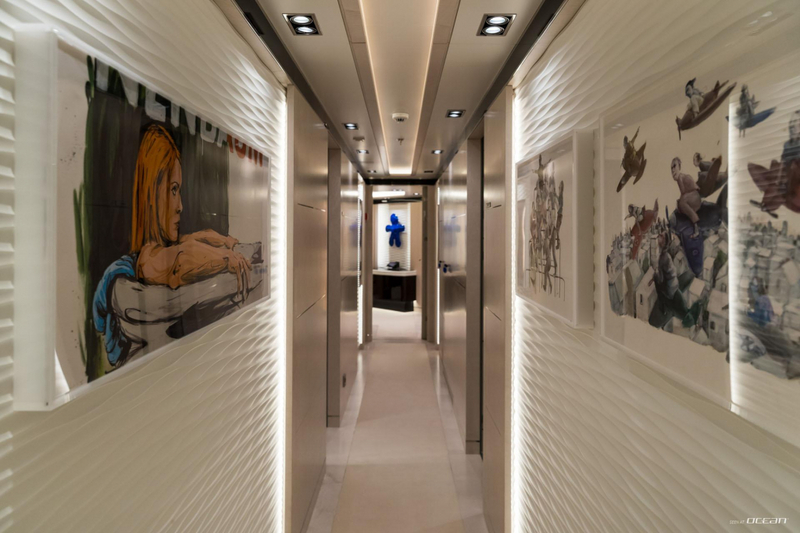 Featuring an elevator connecting all decks it goes without saying that O'PTASIA superyacht for charter comprises a state-of-the-art audio-visual entertainment system. 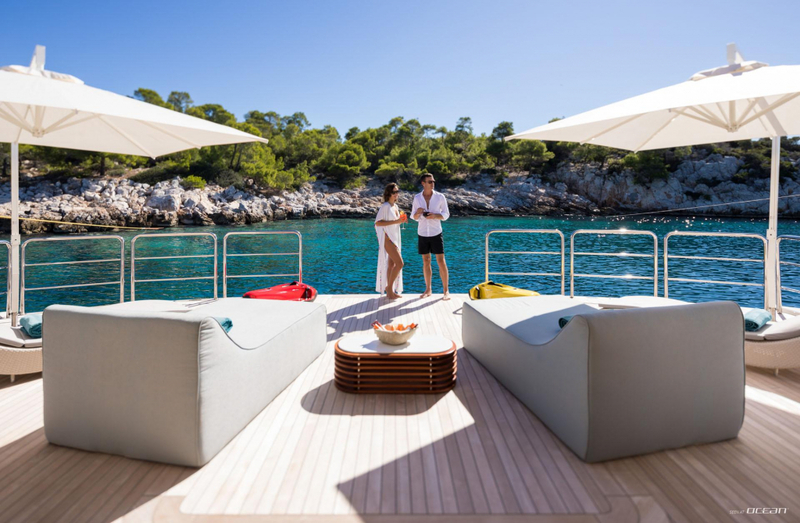 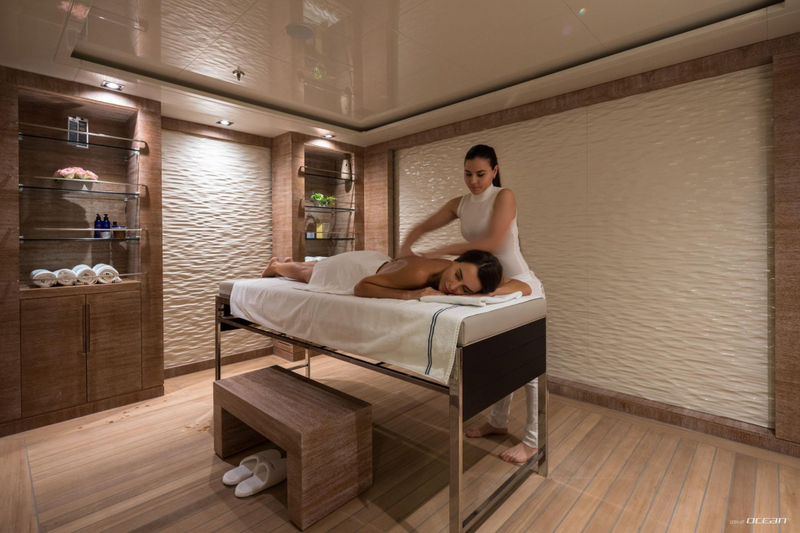 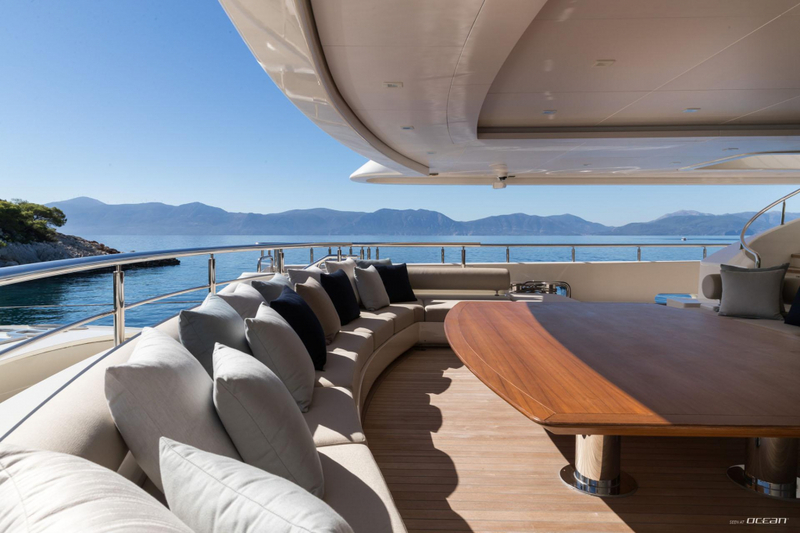 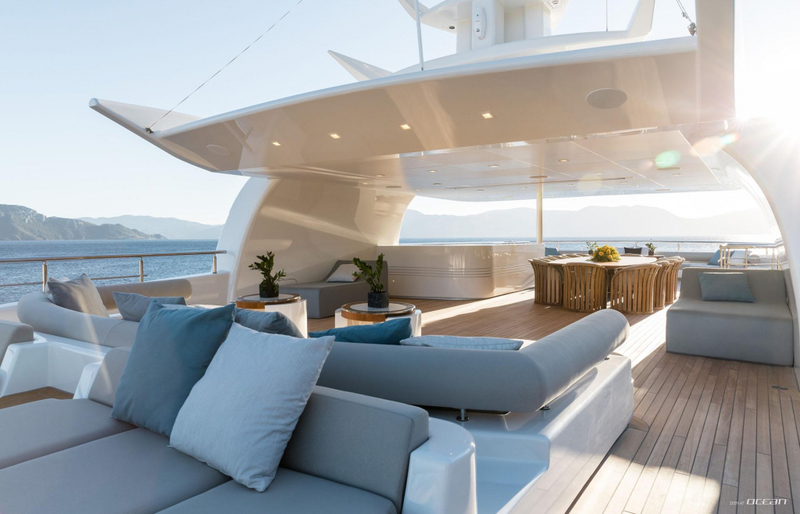 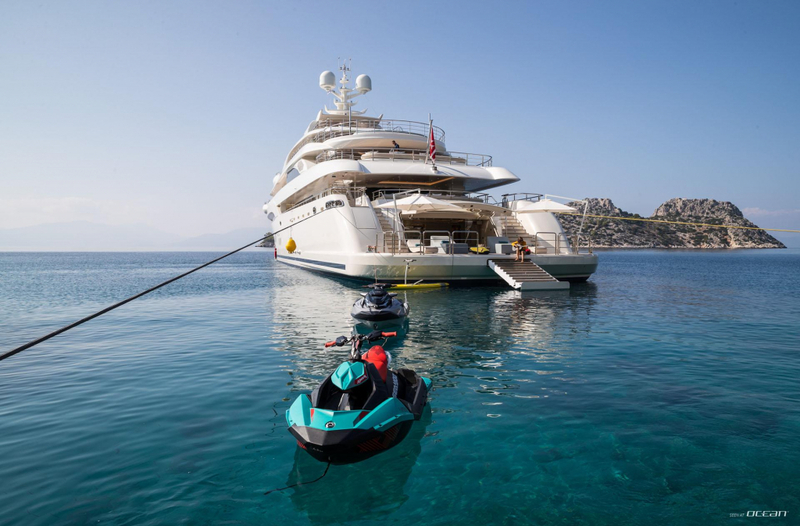 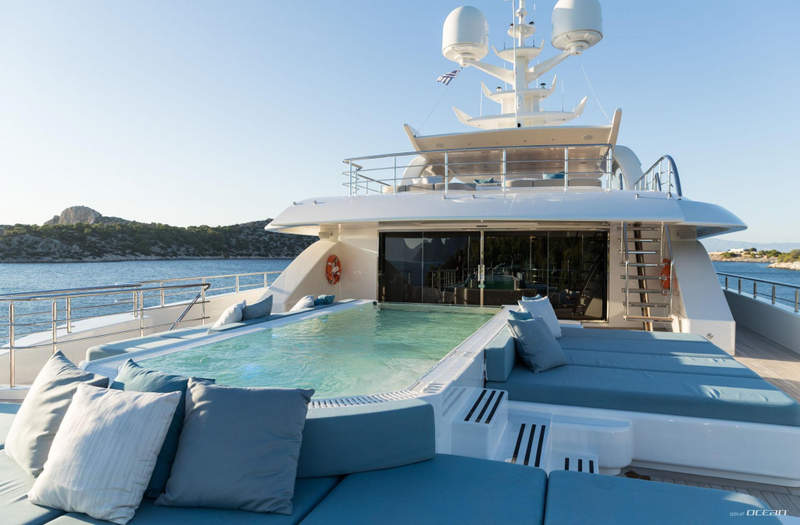 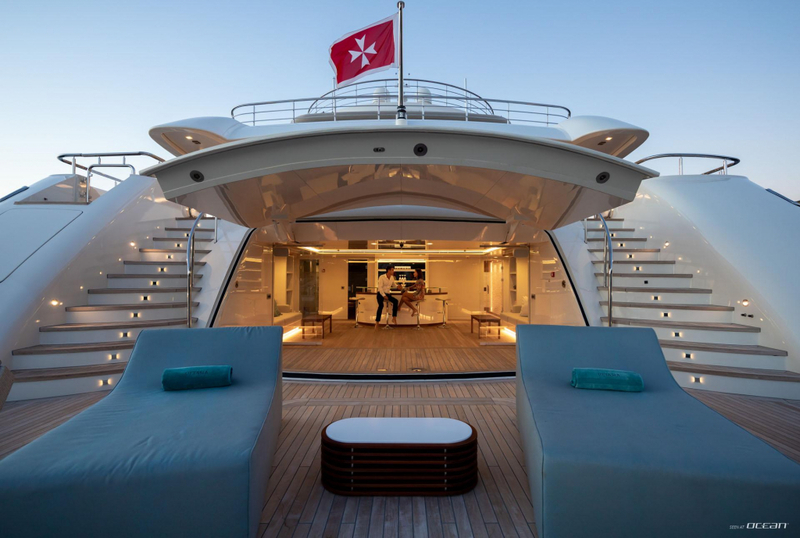 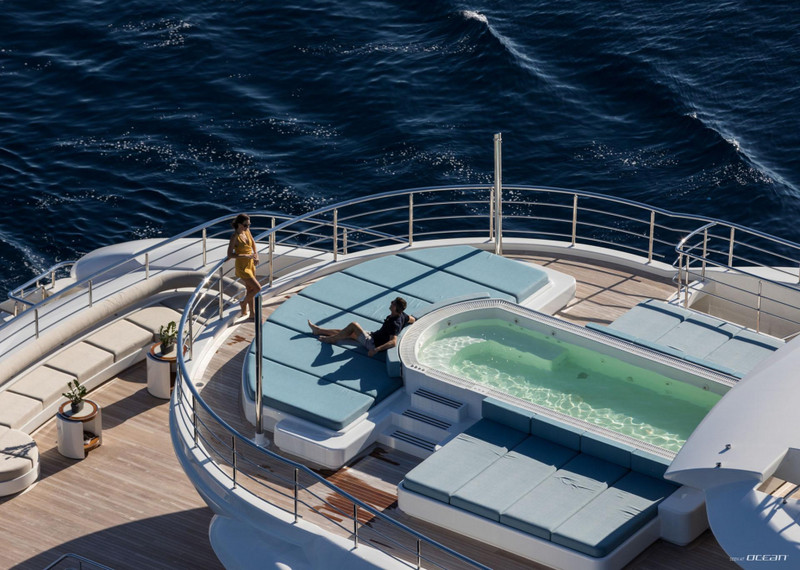 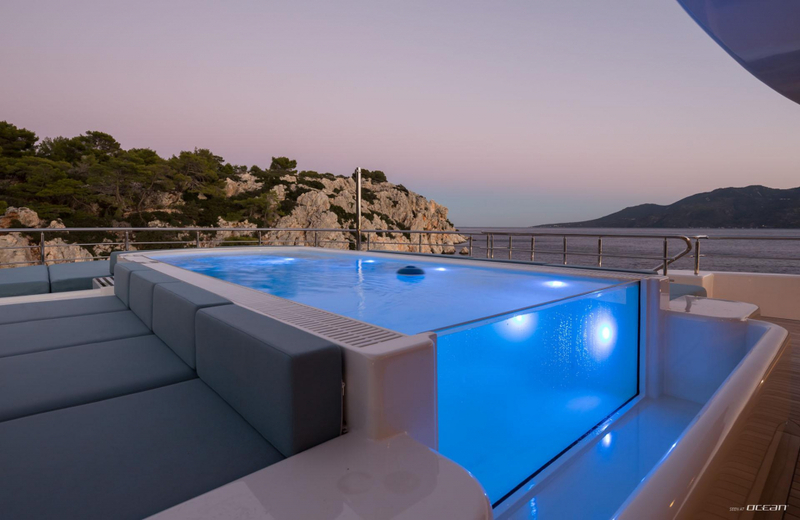 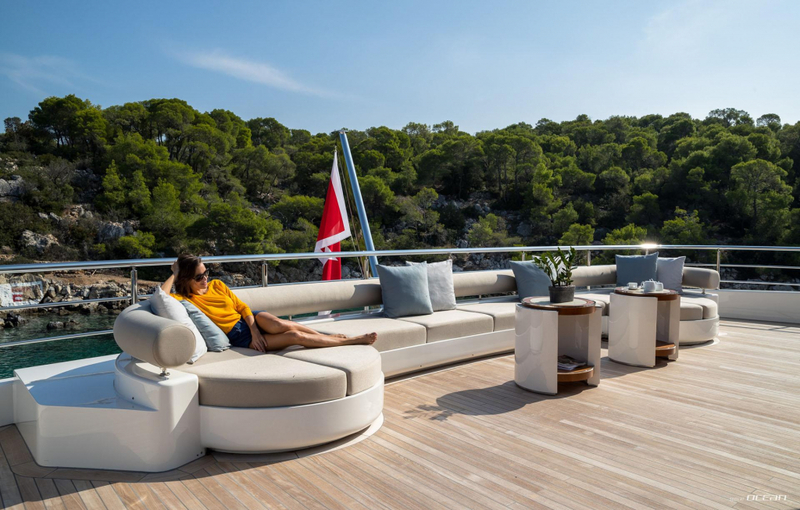 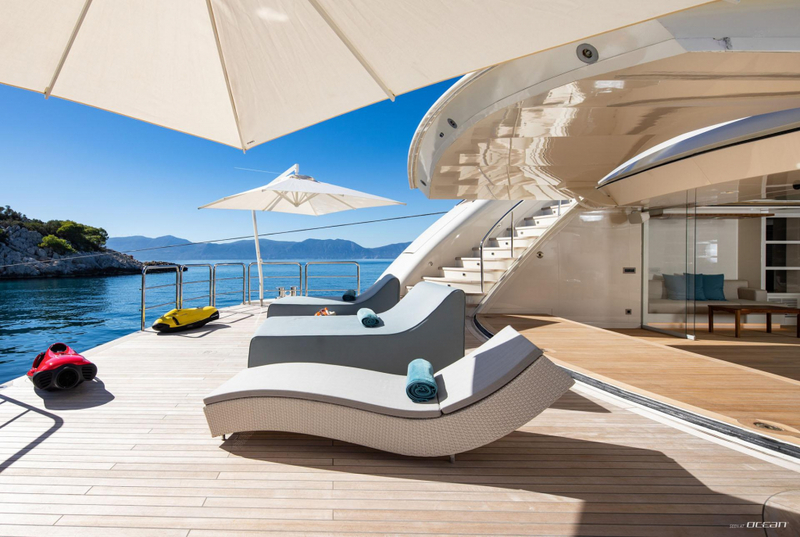 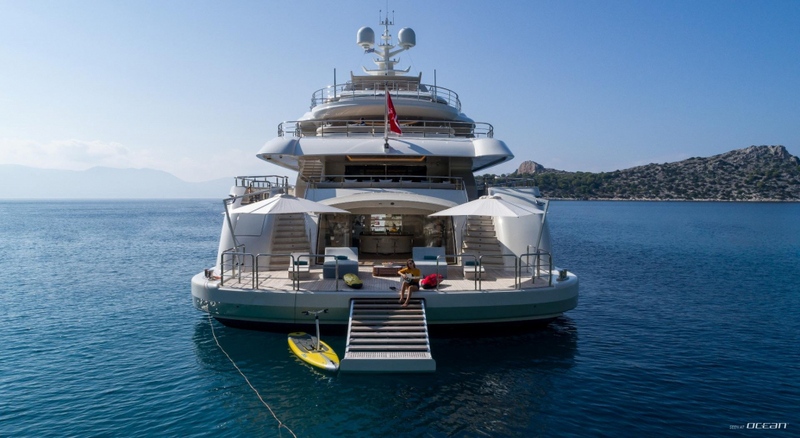 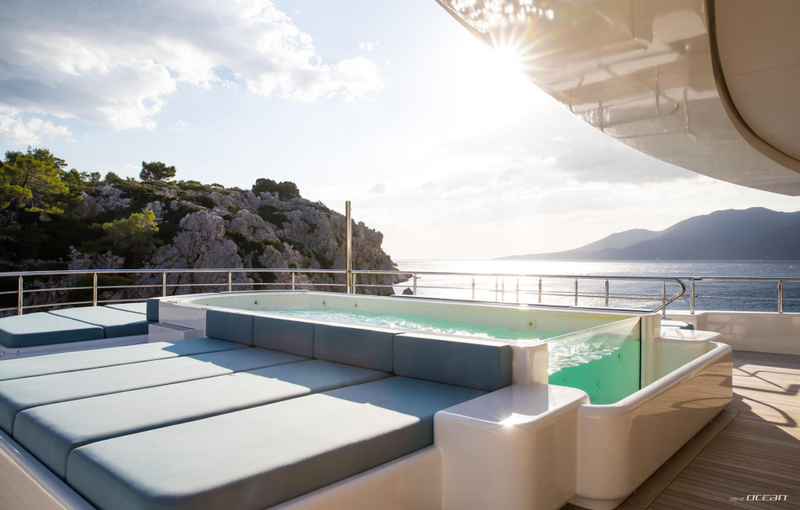 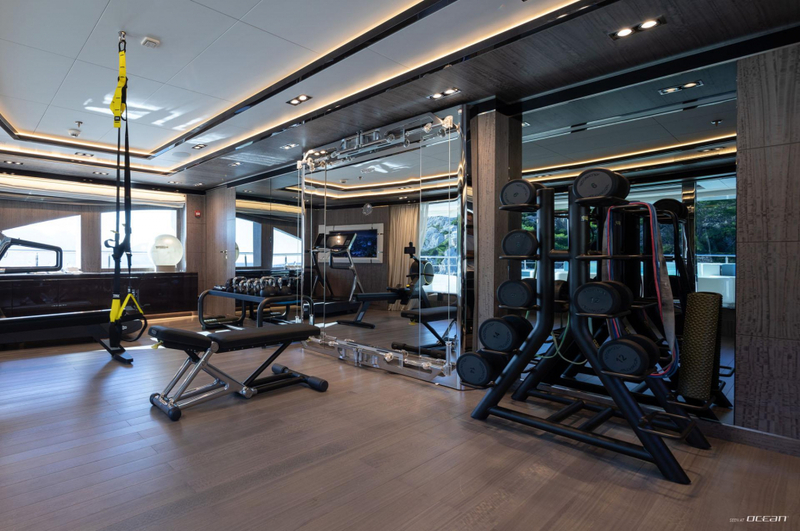 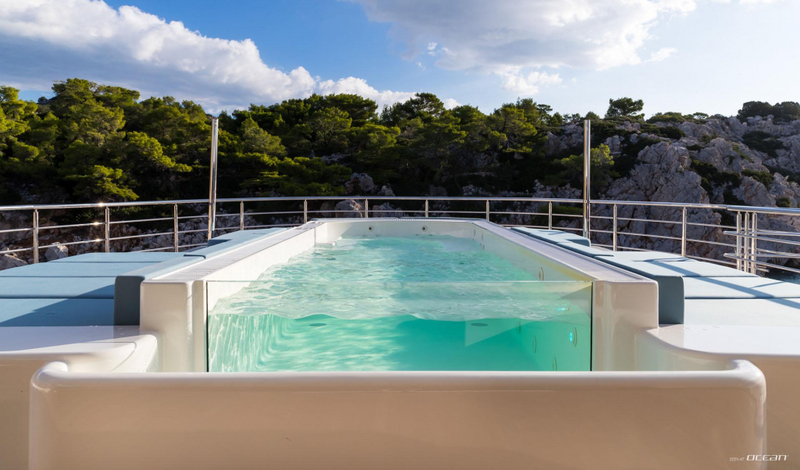 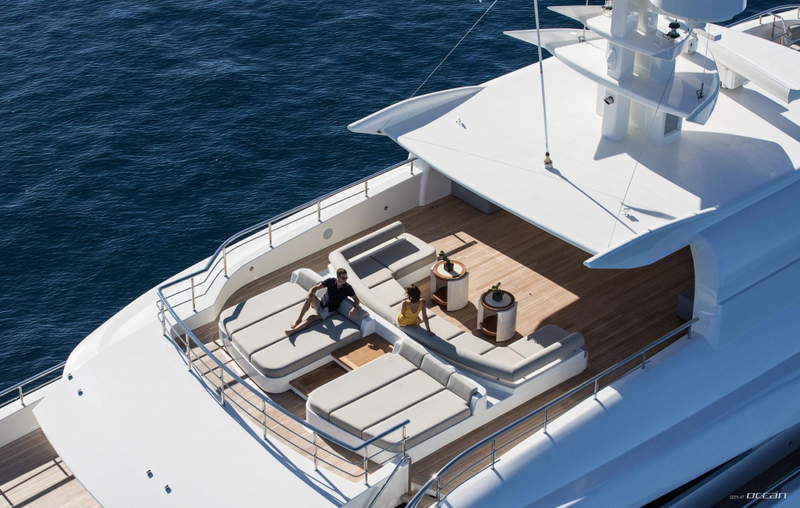 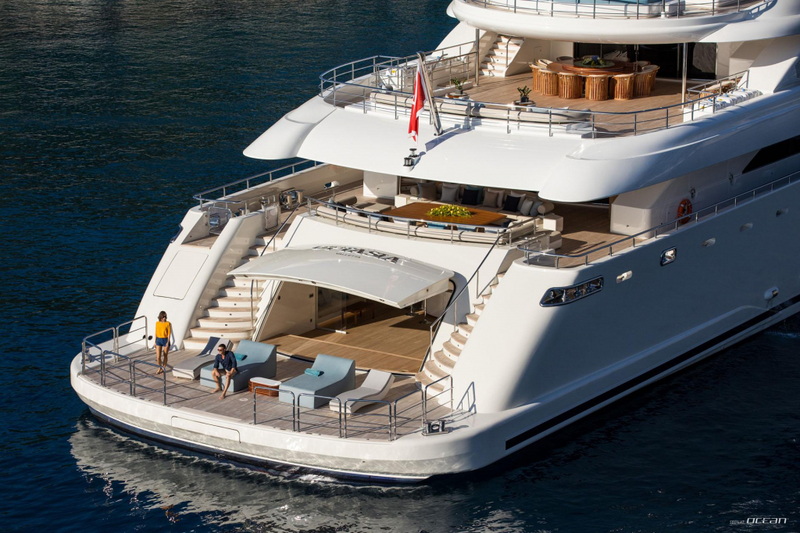 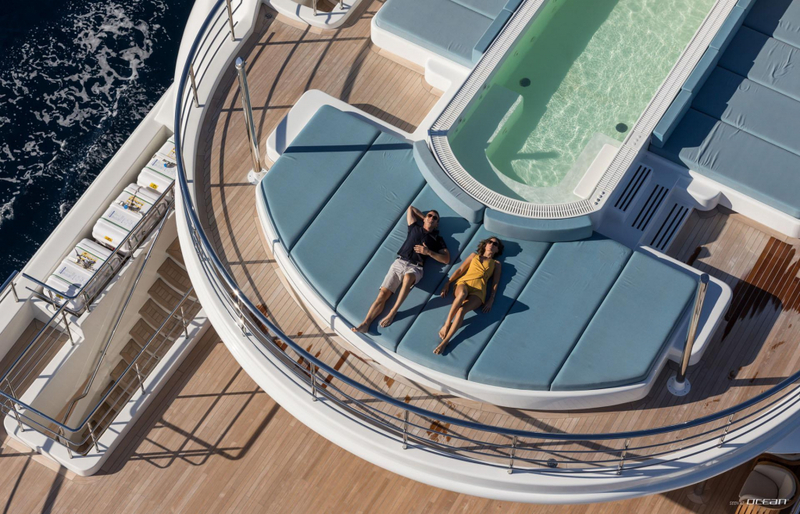 O'PTASIA yacht for charter has vast exterior deck spaces holding a myriad of luxury amenities to keep every guest entertained, including a fully equipped gym and Jacuzzi on the bridge deck, huge sun lounging and al fresco dining areas, BBQ, and an armada of watertoys. 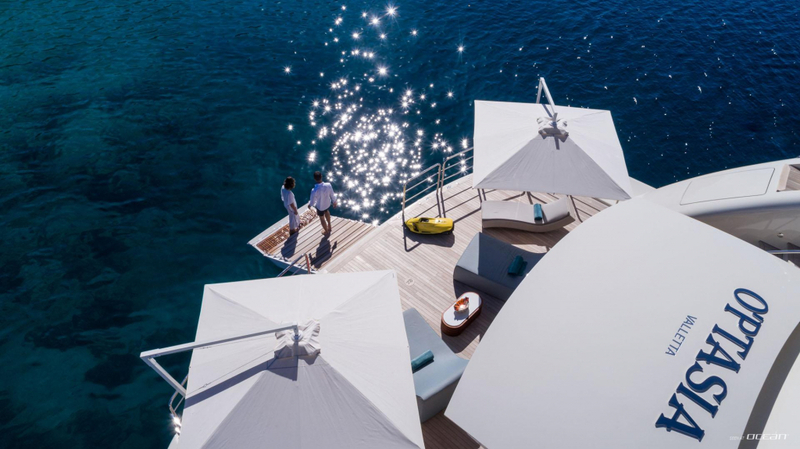 In megayacht-manner a large beach club with wellness and spa facilities is seamlessly connecting to the aft bathing platform creating a largely extended beach on sea level. 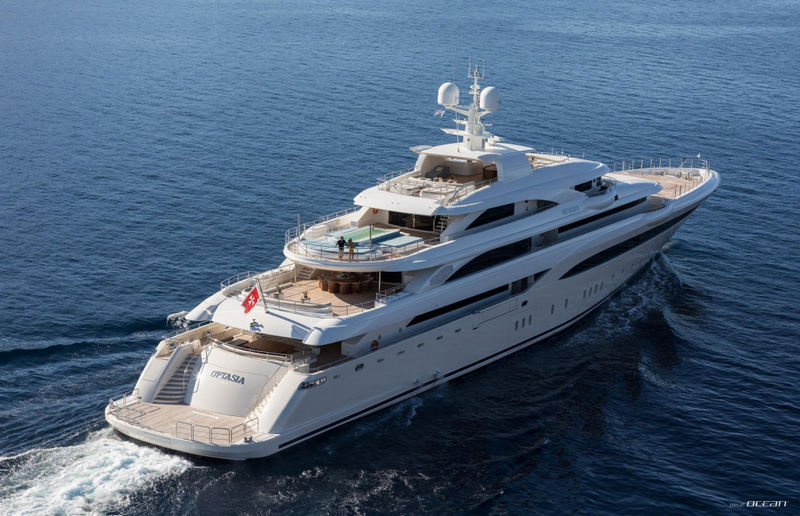 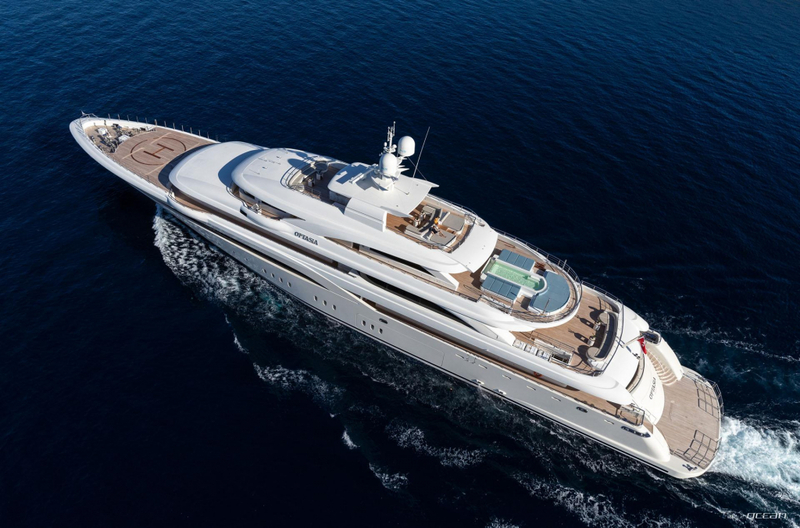 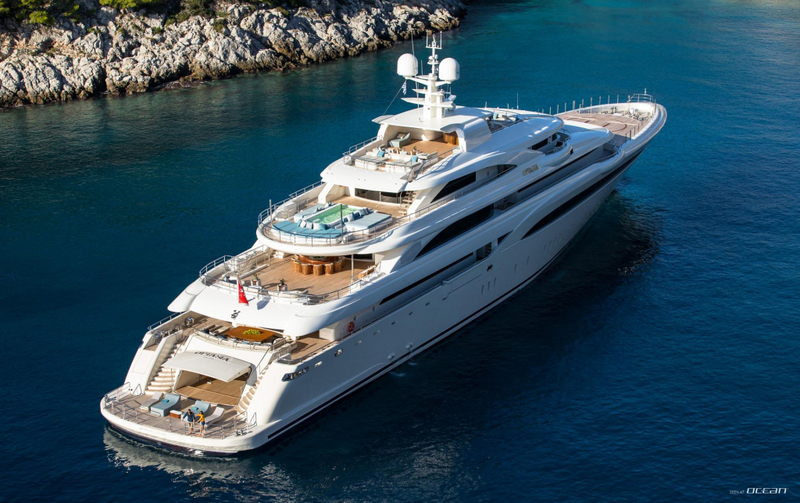 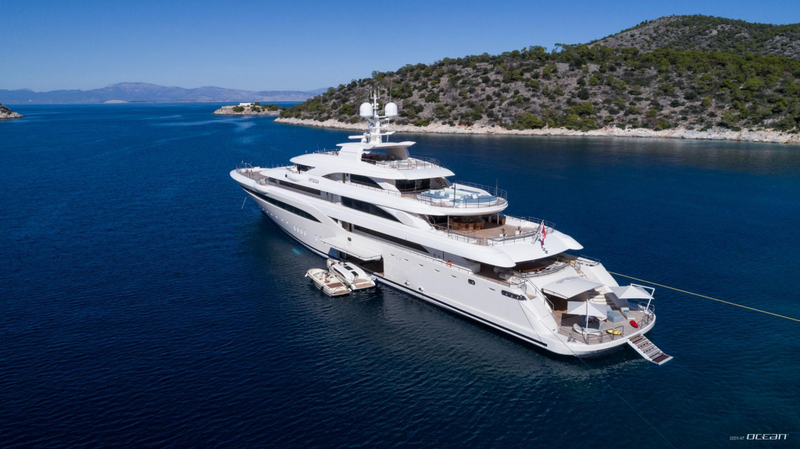 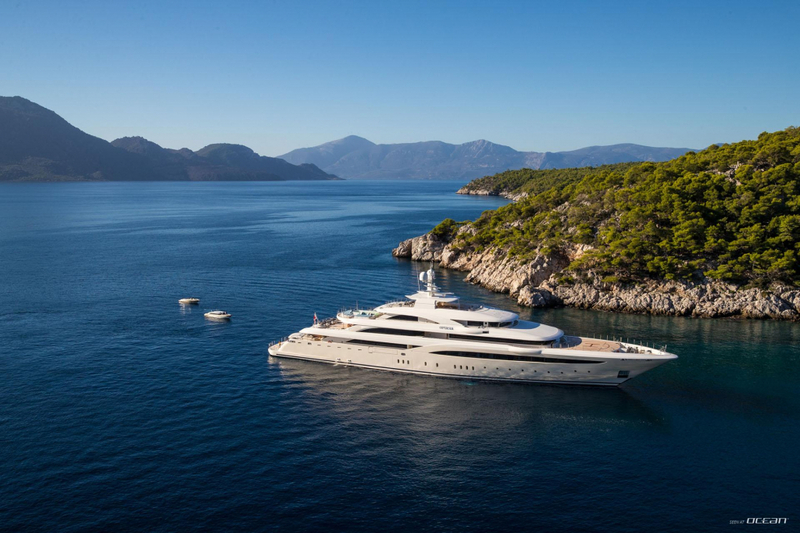 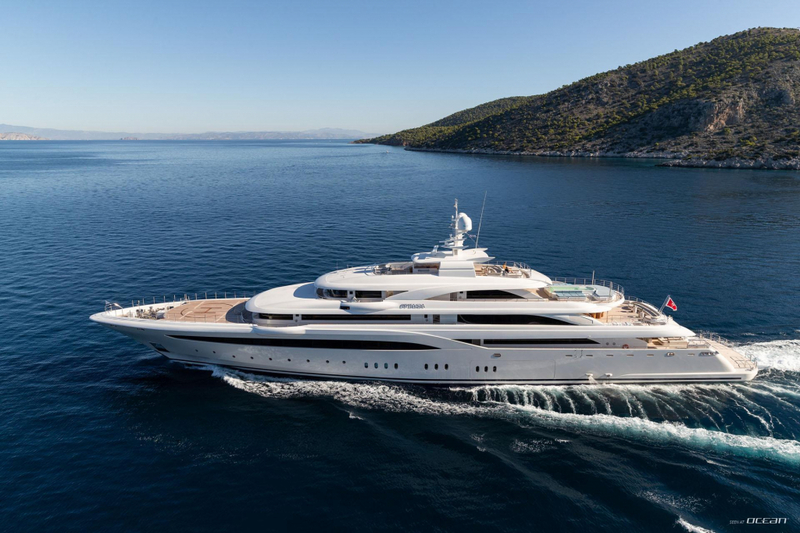 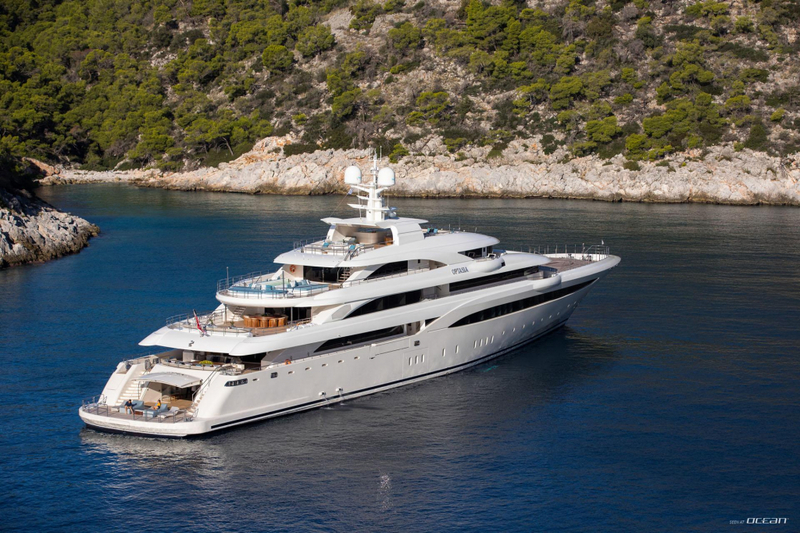 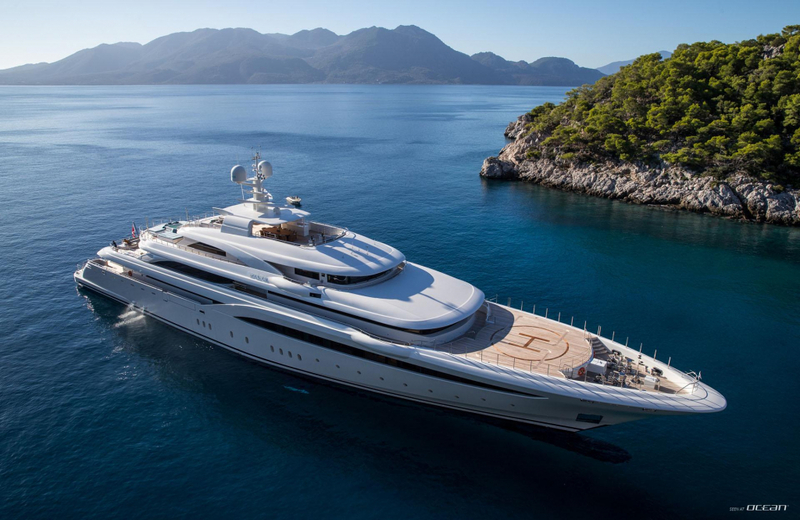 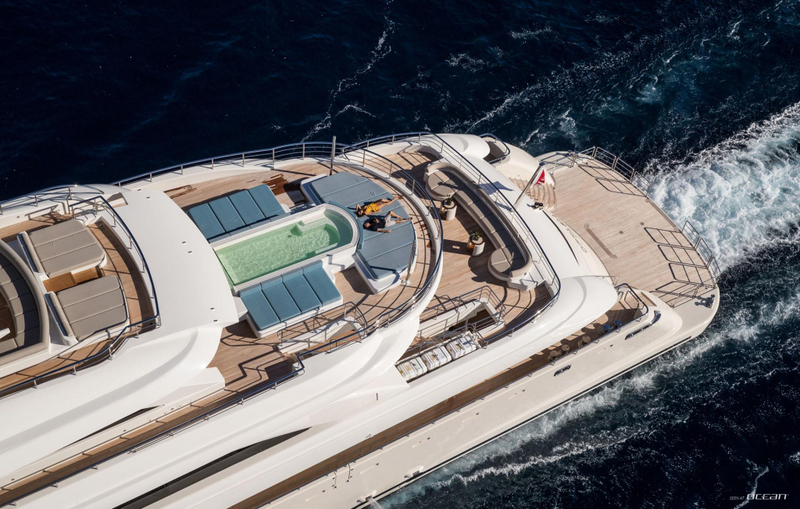 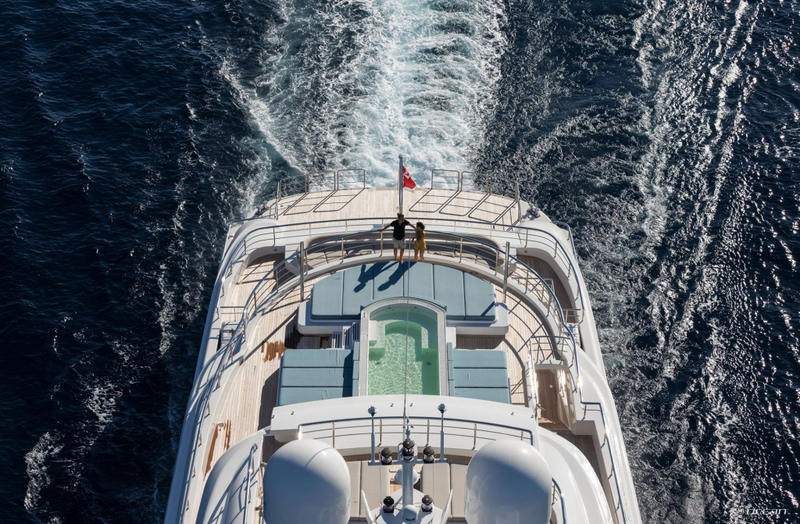 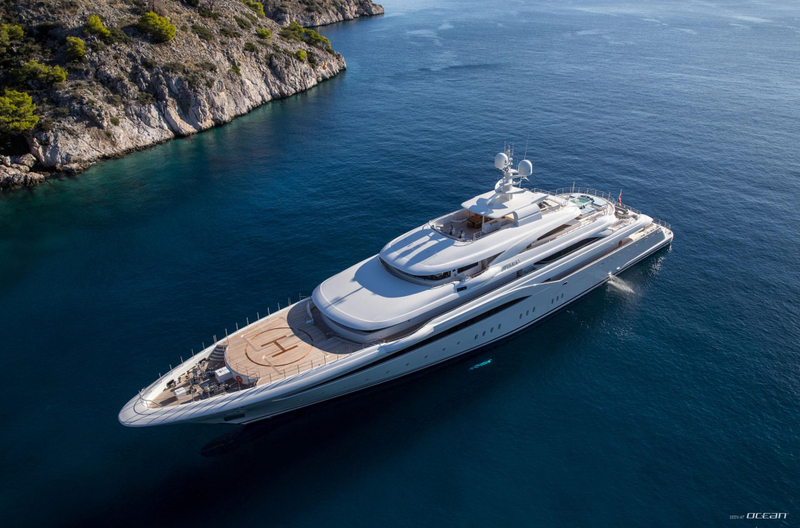 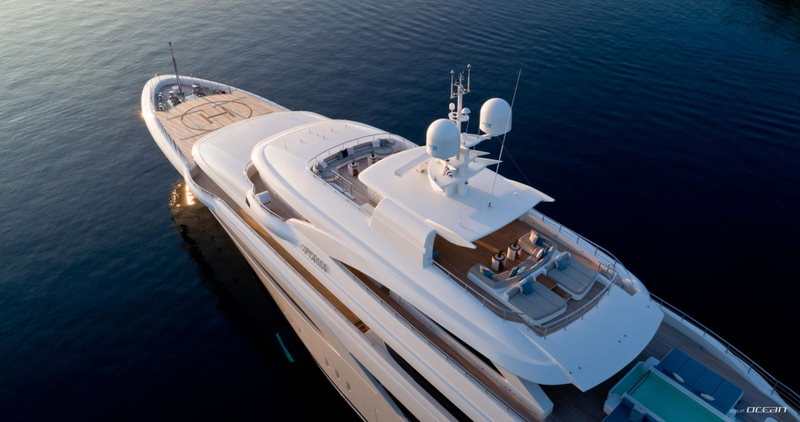 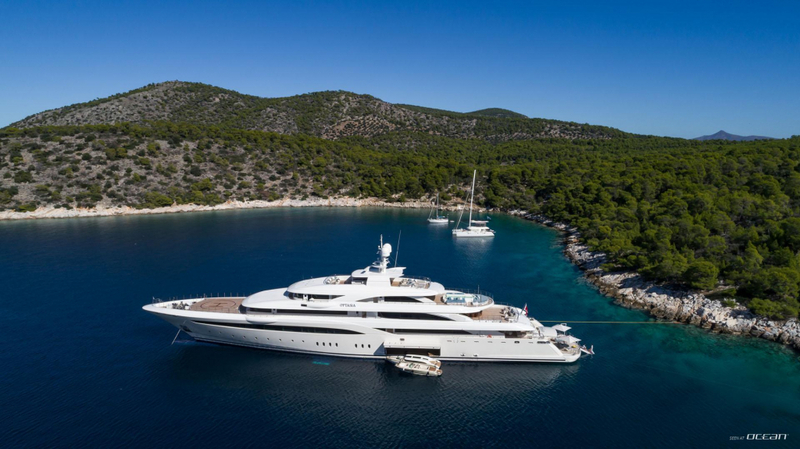 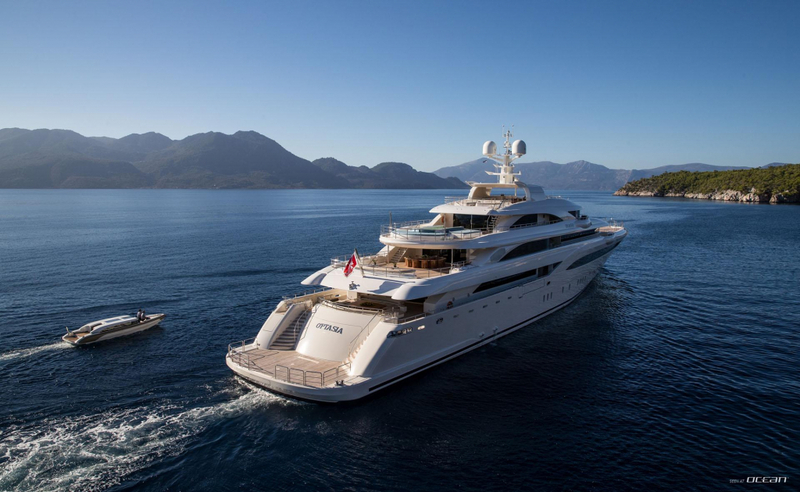 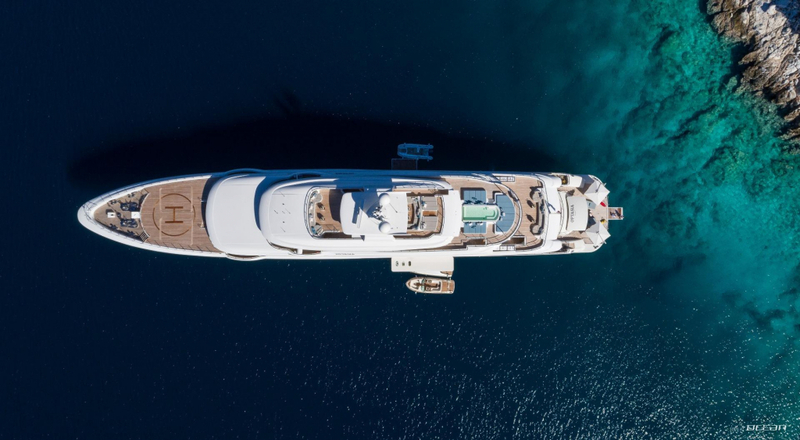 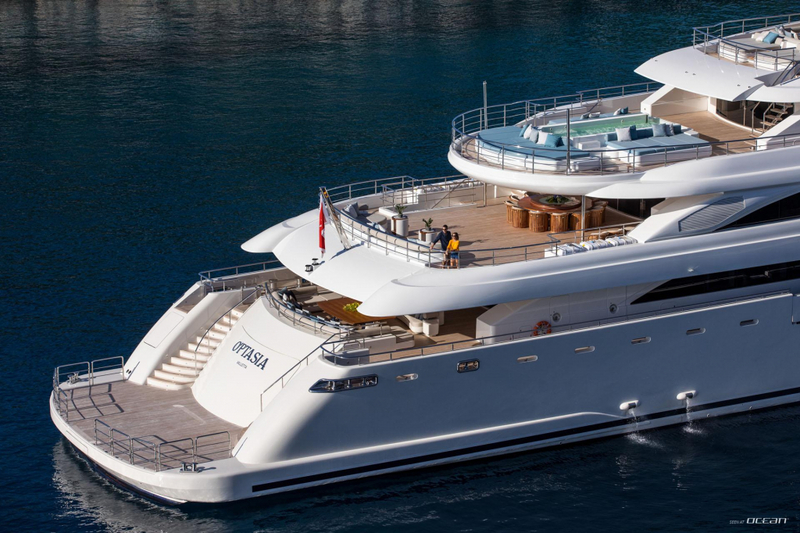 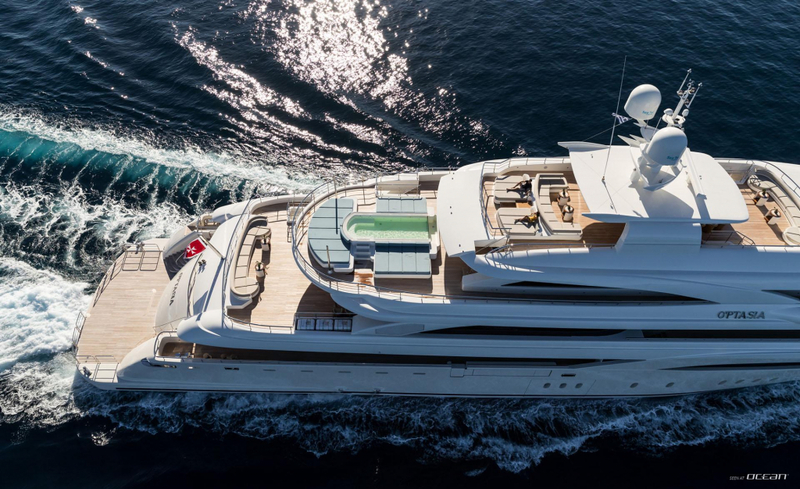 Charter yacht O'PTASIA comes with a certified touch-and-go helipad on the forward deck. 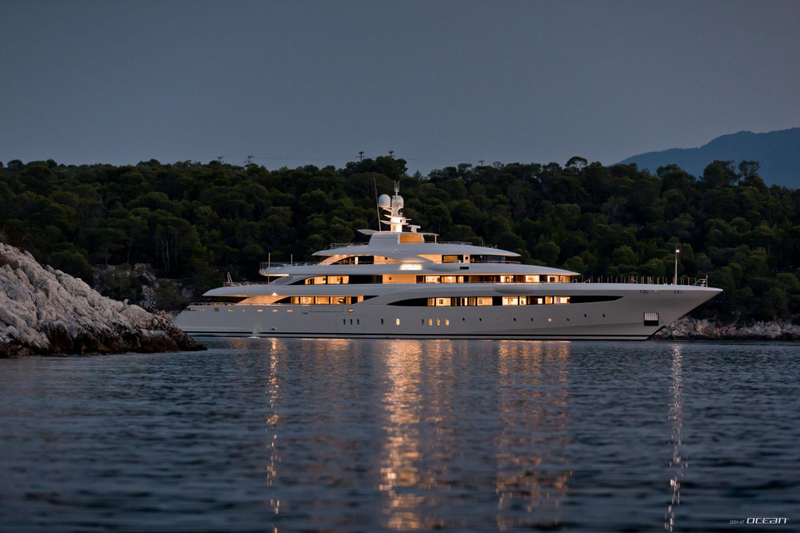 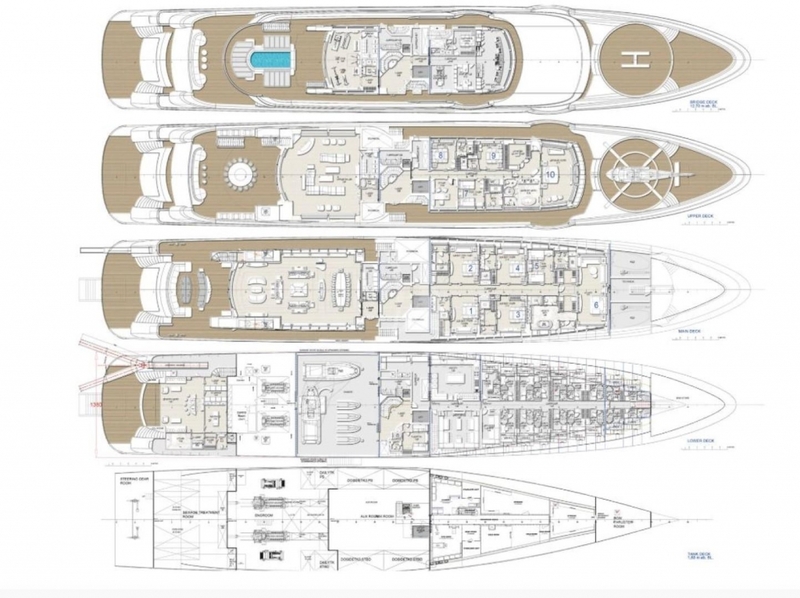 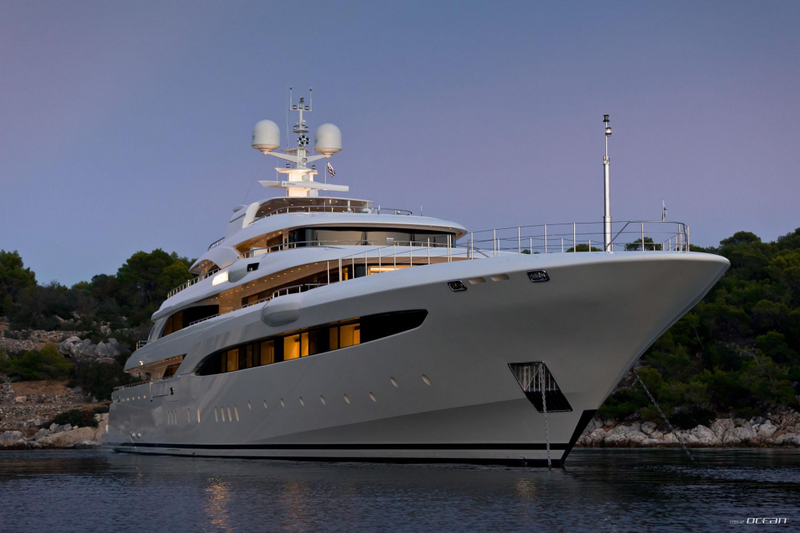 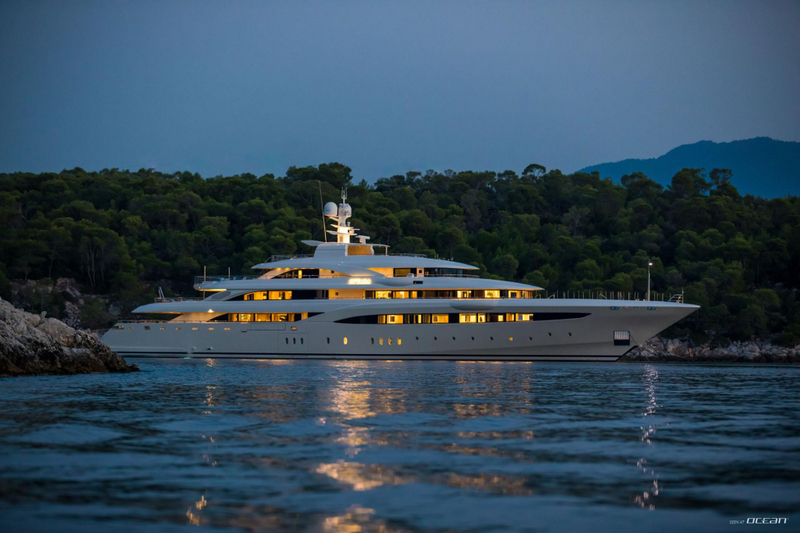 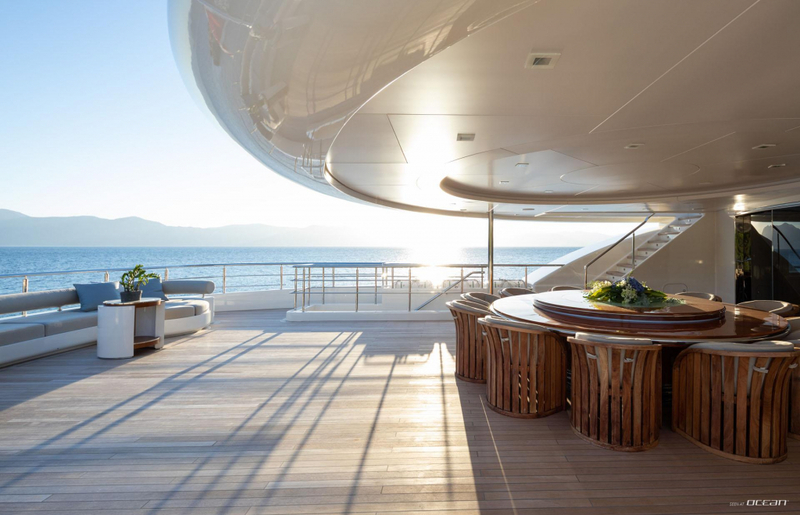 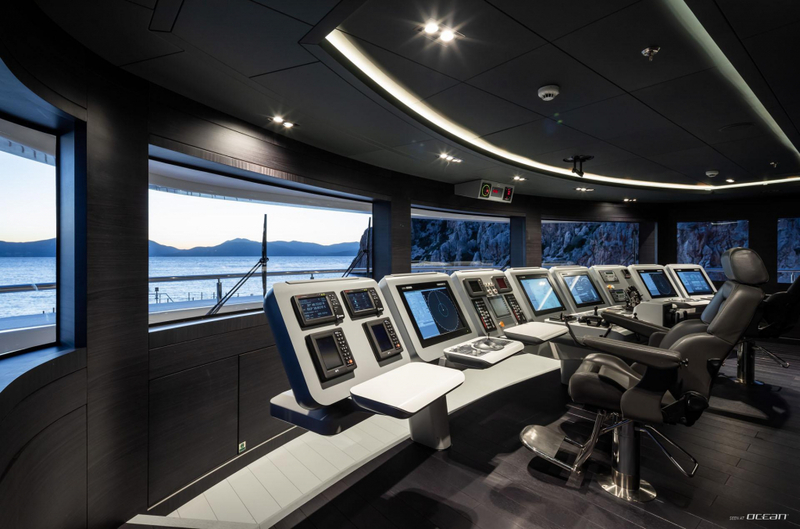 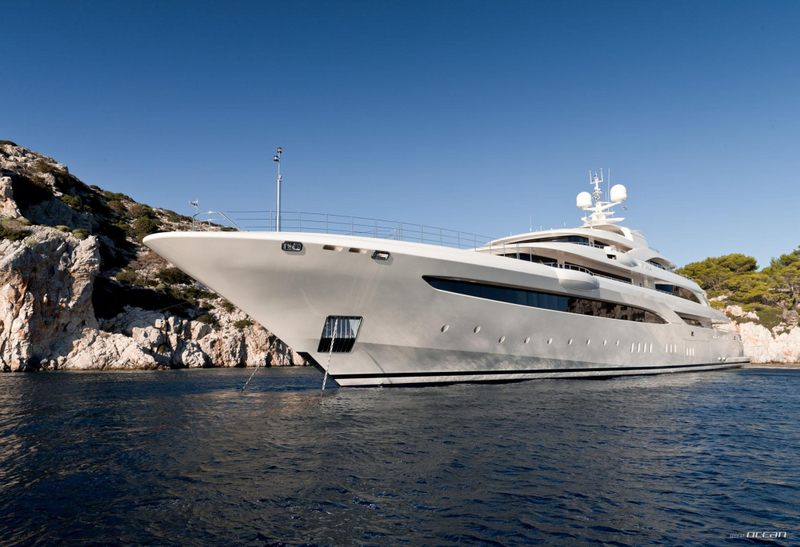 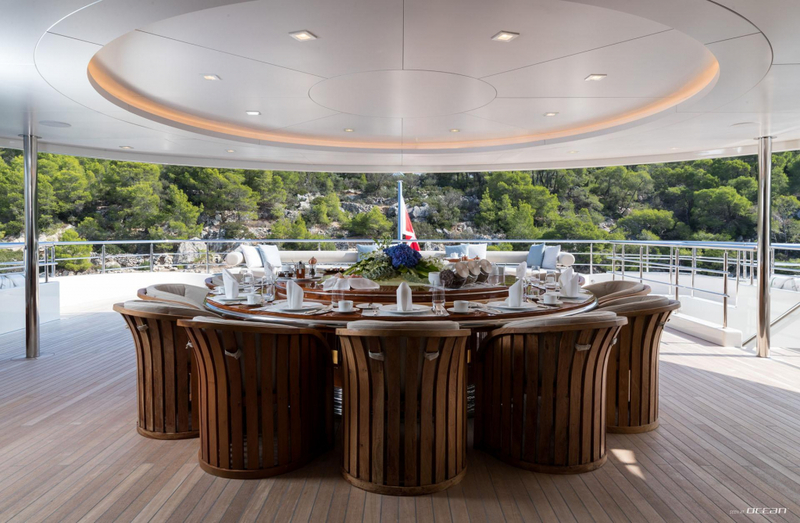 However, besides all amenities, the most distinguishing feature on board of O'PTASIA megayacht is definitely her crew. 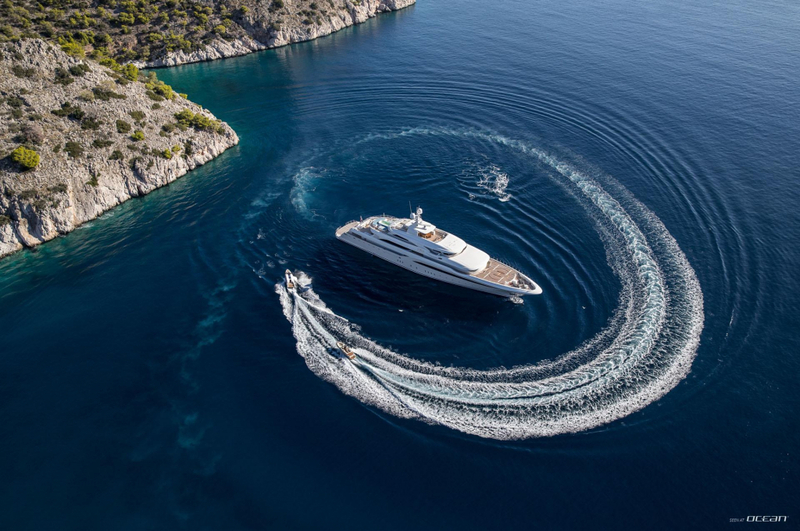 We have put a highly professional crew of 26 members together to deliver the ultimate yachting experience in Greece. 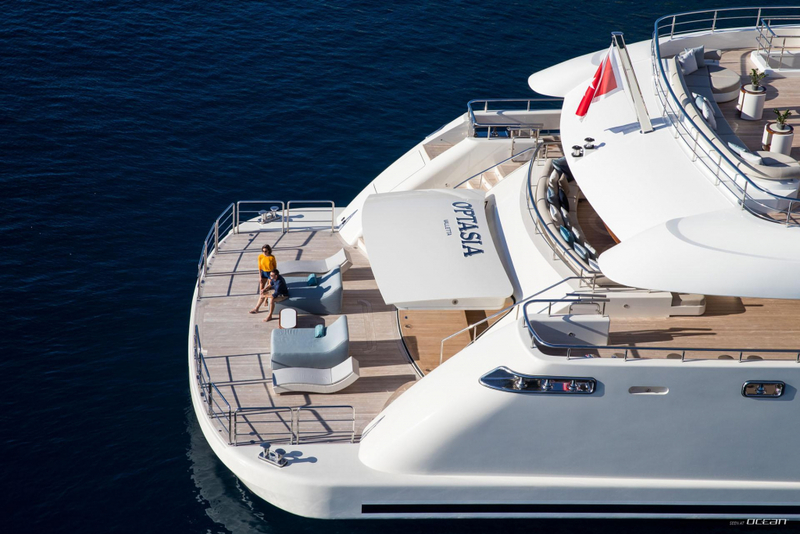 Charter yacht O'PTASIA will be the new synonym and epitome of luxury yacht charter in Greece. 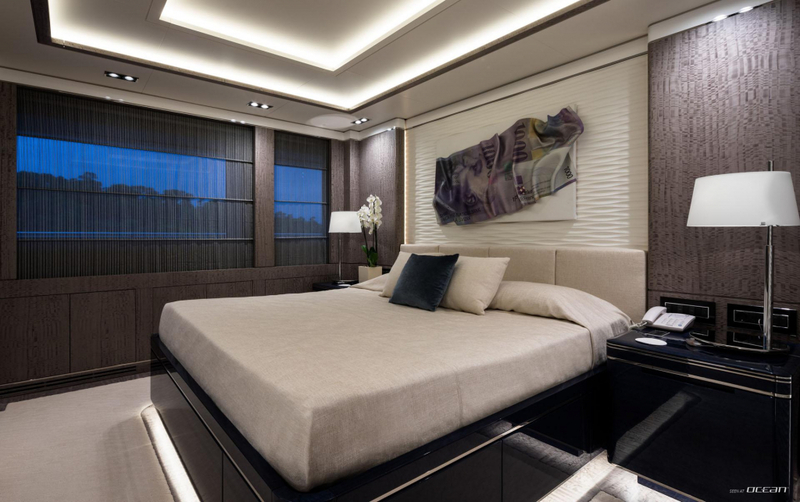 Send us your requests and will submit you a tailormade individual offer. 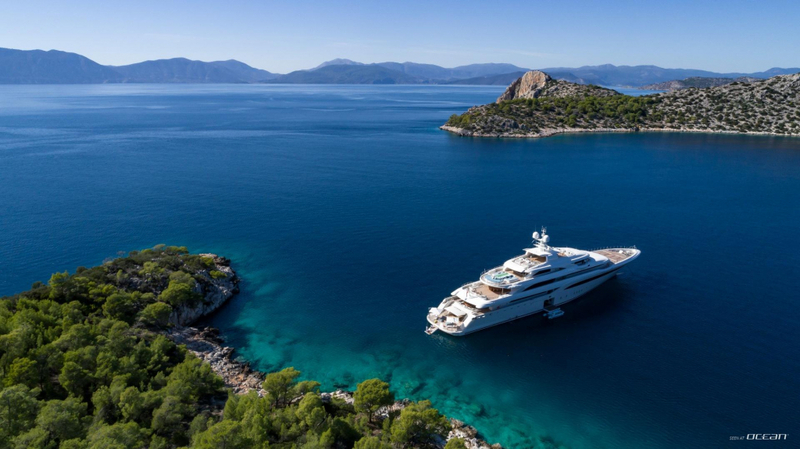 Charter yacht O'PTASIA is based in Athens but available for charter throughout Greece and Turkey. 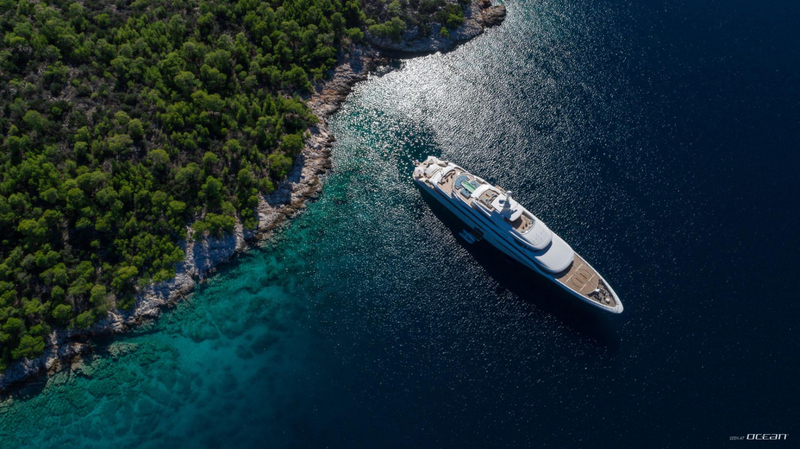 For charters longer than a week, the Adriatic with Croatia and Montenegro will be considered. 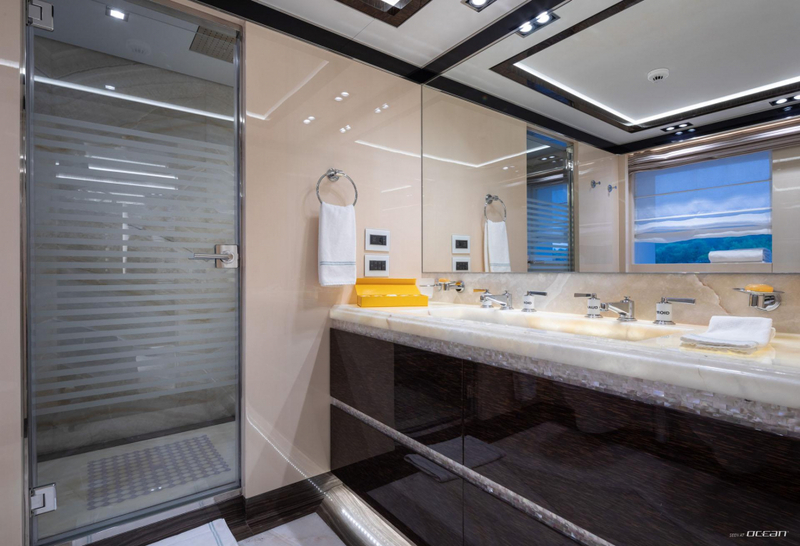 En-suite bathrooms in all cabins, air condition throughout, 2 generators, ice maker, water maker, Wi-Fi internet on board, stabilizers underway, stabilizers at anchor, audio distribution system with independent Airplay, Bluetooth, Internet radio, Spotify, tune in radio, Pandora, Sirus XM, Deezer, Napster in each area of the yacht, indoor and outdoor B&W speakers and sound bars, mini iPads in each cabin for music and TV control, the guests can connect their own iPhone/iPad/Android device, 20 outlets for high power party speakers and DJ booths, 21 LED-TVs 32”-88” are installed throughout the yacht each with independent movie players, satellite receiver, media player, Apple TV, blue ray players, local TV channels and local inputs for gaming consoles, video cameras etc. 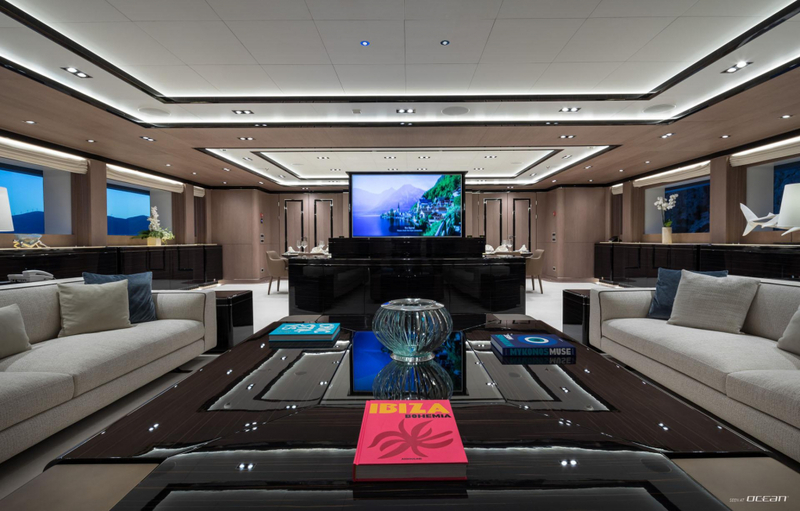 7.1 Dolby Atmos installed in master suites, VIP suites and salon, Central Digital Media System that can project images to all TVs, outdoor cinema in the sun deck area that can connect with media players, satellite receivers and Apple TV, Movies server with 450+ movies that are updated annually, movie room, beach club with steam room, massage room, bar, pool on the sundeck, helipad for touch and go helicopter size MD500E, elevators on all decks, deck jacuzzi, swimming platform, stern/cockpit shower and a variety of water toys. 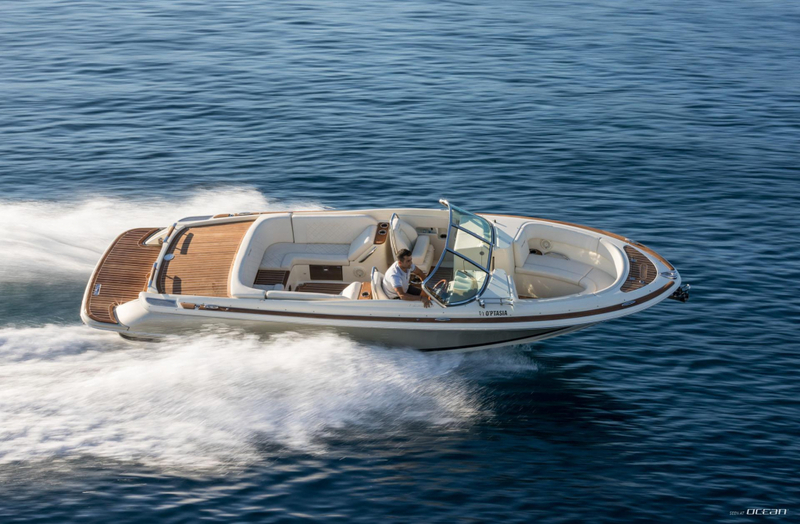 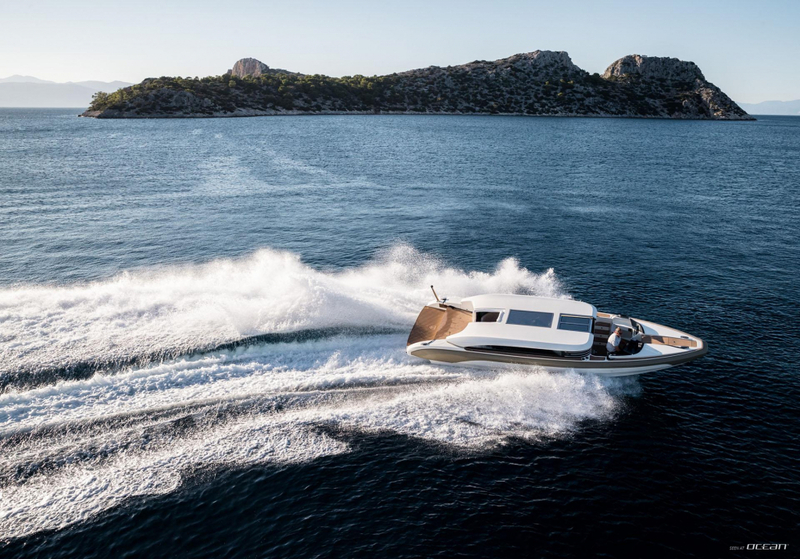 9.75m custom made tender with 2x220hp Volvo engine, 8.13m craft with 350hp engine, 6m catamaran with 115hp Yamaha engine, Avon SEa Sport 440 with 60hp engine, Seadoo Spark, 2 Seadoo GTX, Jungle Jim, 4 SeaBobs, 2 Jetsurfs, Bouncer 16' with slide, one-person kayak, two-person kayak, transparent kayak, Ocean pool (6x5x2.4 meters), runway, 2 stand-up paddle boards, Hobie mirage eclipse, 3 towable crushers, 4-persons towable sonar, 3-person towable chaser, water carpet, water-skis for adults, teenagers and children, monoski slalom, wakeboard, 2 electric bikes, bike, 2 ski handles with rope, wake handle with rope, 4 heavy duty towable ropes and snorkeling gear.